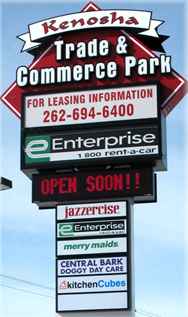 Prime Location in the heart of Kenosha's Business sector on Highway 50. Just blocks from Highway 31 and a few miles EAST of I-94. This development provides retail, office and warehouse space serving the Kenosha community. Office - $10.00 per sq. ft. Warehouse - $5.00 per sq. ft. Contact Developer for more information. MPM Property Management Inc. specializes in the leasing and management of retail, offices and industrial real estate. MPM Property Management Inc. purchases and builds developments to better serve the community while providing quality and affordable leasing options for tenants. The following commercial properties are currently FOR SALE by MPM Property Management. Our goal is to work with prospective buyers to find a location that meets the financial and long term goals of their business. MPM is dedicated to working with buyers to find an affordable location where their business will prosper. The following locations are currently FOR LEASE by MPM Property Management. Prospective tenants can count on MPM to help them find an affordable location that will allow their business to thrive. MPM works with tenants every step of the way from business conception to build out and start up. The majority of MPM's leasing options allow tenants a custom build out suitable to their business. To provide an exceptional working environment for our tenants that allows for maximum growth and income potential. Copyright � 2010 MPM Property Management Inc., All rights reserved.